WASHINGTON — The Philippines has finally closed the hostage saga in one of their southern islands, where Muslim rebels captured local civilians and police officers. Reuters reported that a breakaway group of Muslim rebels were dissatisfied with the main Muslim rebel group, the Moro National Liberation Front (MNLF), and their pact with the Philippine government to end a decades-long civil war. 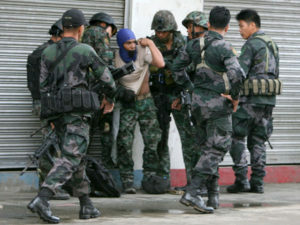 They took the city of Zamboanga on September 9th and took hundreds of hostages, while battling security forces. 166 rebels were killed in the campaign and 34 were civilians and local security casualties. 300 rebels had surrendered to government forces. Now the violence has mostly ended and the majority of the city has been secured as the main body of rebels have fled, in addition to most normal activity resuming with schools and banks opening in recent days. More than 100,000 residents of the city were displaced, which is located on the southern island of Mindanao.